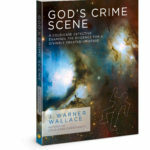 In my new book, God’s Crime Scene: A Cold-Case Detective Examines the Evidence for A Divinely Created Universe, I examine eight pieces of evidence in the universe by asking a simple investigative question: “Can I explain the evidence ‘in the room’ (of the natural universe) by staying ‘in the room’?” This is a question I ask at every death scene to determine if I actually have a crime scene. When evidence “in the room” can’t be explained by staying “in the room”, I’ve got to consider the involvement of an intruder. If the evidence inside the universe can’t be explained by staying “inside” the natural realm of the universe, we must similarly consider the involvement of a cosmic intruder. One critical piece of the evidence in the universe is the existence of transcendent moral truths. Can we explain these truths by staying “inside the room”? Moral relativism rightly recognizes the cultural and moral diversity of our world, but this observation fails to falsify the existence of transcendent, objective moral truths. Cultures can differ on their beliefs about what causes tuberculosis, for example, but this does not mean there isn’t an objective truth about the cause and nature of the disease. Diversity of subjective belief has little to do with the existence of objective truth. If moral truths emerge from the consensus of people groups, which people group gets to decide? Does size or power dictate which groups are qualified to be an authority? Moral relativism denies us the ability to declare one group more authoritative than the other, unless we are willing to appeal to an authority transcending all groups. If moral truth is a product of cultural consensus, no specific culture is in the position to criticize or praise the behavior of any other culture. Moral relativism does not allow us to say, “Torture is objectively wrong.” At best we can simply proclaim, “We don’t like torture here in our culture.” But why should anyone care what we think in the first place if moral truth is relative to each culture? If morals are simply the product of cultural opinion, proclamations about moral truth are like statements about food preferences: interesting, but ultimately meaningless. If people groups decide what is morally right or wrong, how are we to consider a particular act if there is no definitive cultural agreement? Does this mean an act has no moral status until a majority of us can agree? And how large does the majority have to be? The issue of abortion, for example, is still a fluid and hotly debated topic. Consensus is sometimes difficult to find, particularly in some regions of the United States. Does the lack of consensus mean abortion is neither morally right nor morally wrong? If moral relativism is true, we can’t make a declaration on the moral status of any act until we’ve reached a cultural consensus. If moral truth is decided by cultural agreement, based on the beliefs of the majority—how are we to evaluate those individuals in the minority? Wouldn’t they be considered immoral by definition? Moral reformers like Gandhi and Martin Luther King Jr., who began their efforts at moral reform as individuals advocating a minority view, would be powerless to effect change if moral truth was truly established as moral relativists propose. Reformers such as these appeal to moral truths transcending the majority opinion when they argue for change. If moral truth begins at the level of culture, there is no authority above one’s society to whom we can appeal. If moral codes are systematically created and embraced by cultures in an effort to maintain social harmony and increase survivability, how are we to avoid culturally selfish acts? 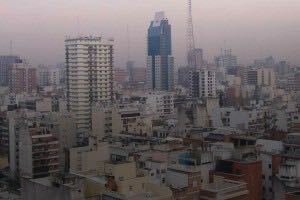 If a particular activity increases the social harmony and survivability of our culture—but accomplishes this at the brutal expense of a neighboring culture—does this make the behavior morally acceptable? Slavery can actually increase the survivability of one culture over another—especially over the cultures enslaved. In fact, one argument for the continuation of slavery in America revolved around its benefits to the economy. Goals related to survivability, including economic survivability, can and have been co-opted to excuse self-serving immoral behaviors. While it’s clear people groups employ moral principles to further their own well-being and survivability, those who claim societies are the source of such principles—either through some process of social progress or psychological evolution—are confusing moral recognition with moral existence. Even the most robust evolutionary proposals related to the origin of moral truth simply offer a description of why and how humans have employed moral principles to increase their survivability. Cultures may recognize and employ moral principles, but this doesn’t mean they created these principles. In fact, many scientists and philosophers are suspicious about any causal relationship between evolution and moral virtue. The evolutionary process often results in disharmony and strife; morality seems to require us to overcome the “evolved beast” in each of us. Moral relativism is simply another failed attempt to stay “inside the room” of the natural universe to explain the existence of objective moral truths. The best explanation for the existence of transcendent moral truth is simply the existence of a transcendent source of moral obligation “outside” the room of the natural universe. This brief summary is excerpted from God’s Crime Scene and is part of a larger chapter on the existence of objective, transcendent moral truths. The existence of moral truth and obligation is just one of eight evidences “inside the room” that point to the reasonable inference of a Creator God “outside the room.” For a much more detailed examination of this important piece of evidence, please read Chapter Seven: Law and Order – Is Morality More Than An Opinion?